As we had come to The Iskele late lunchtime, we were expecting it to be fairly quiet. But it was the opposite, the restaurant was pretty much packed and so it was a good thing that I had made a reservation. 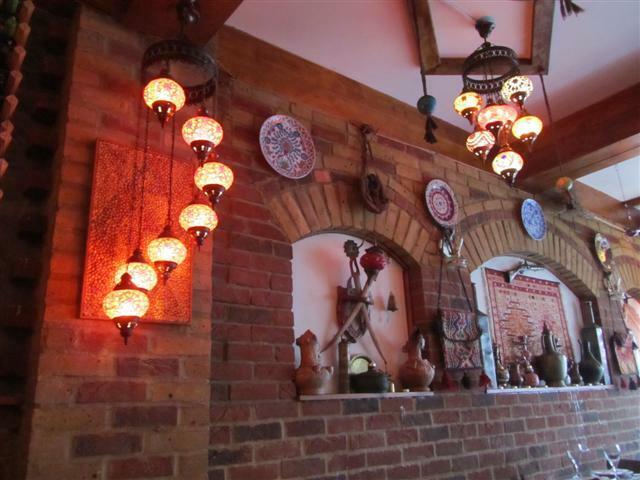 The luscious colours, wall hangings and lanterns from the ceiling welcomes diners into The Iskele. The dining area is fairly big although some of the tables are quite close together. There are lots of ornaments decorating the walls and shelves around the restaurant. The Iskele also has quite a big outdoor dining area with wooden tables and chairs. A hot and cold starter were chosen. 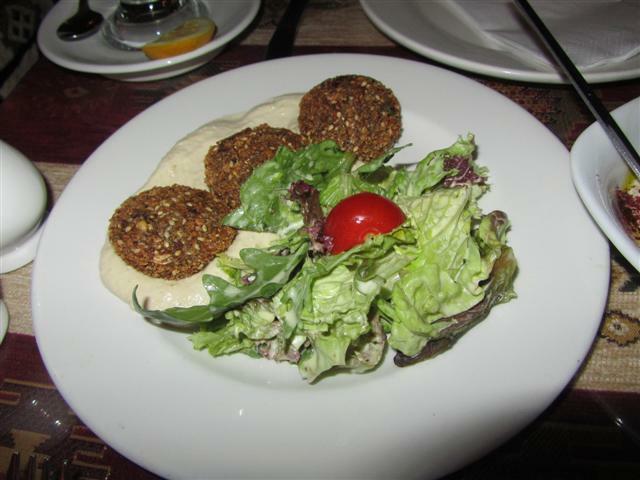 The Falafel were crispy little patties made of chickpeas and had a good flavour to them. They were served on houmous with salad. 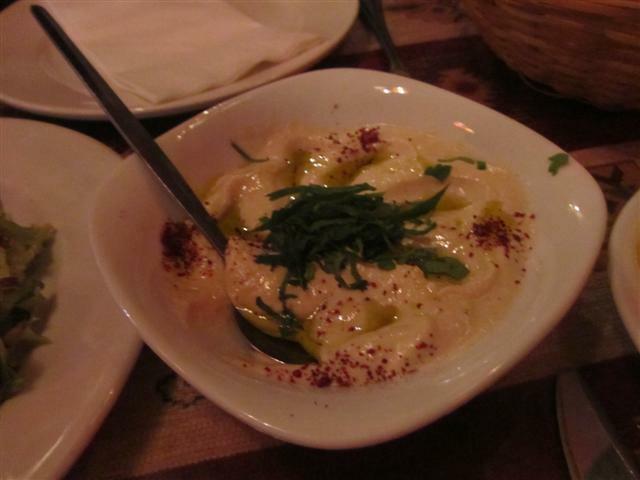 The classic Houmous was a generous portion and we were given warm bread to go with it. Layers of potato, aubergine and courgette with a cheese sauce made up the main dish of Vegetarian Moussaka. It was topped with a lovely tomato sauce as well. 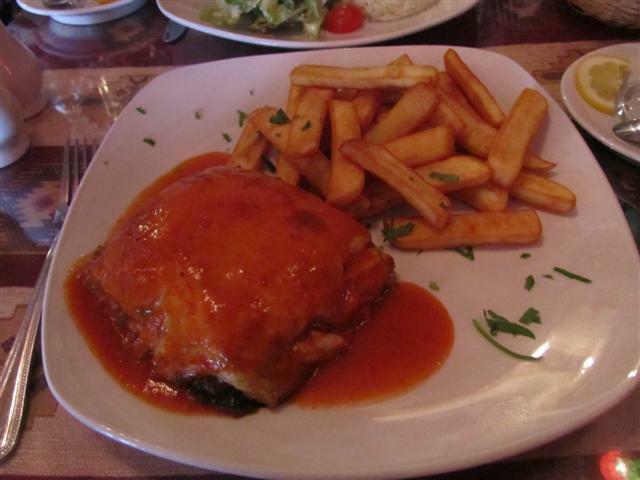 The Moussaka was a really filling meal especially as it was served with some chips! It was delicious and quite a hearty meal, perfect for the cold day. 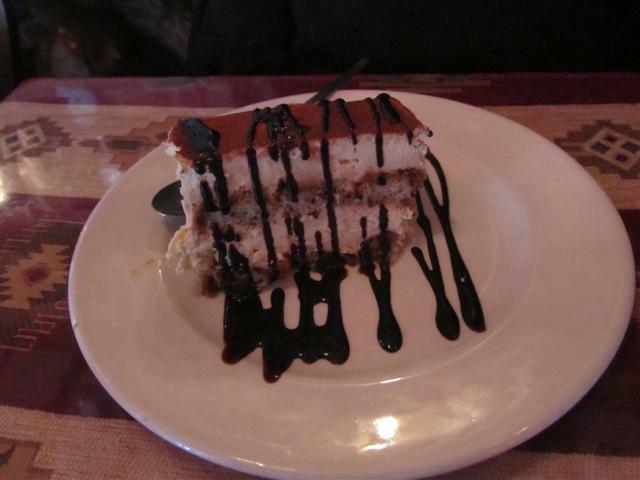 Somehow, there always seems to be some room for dessert, no matter how filling a meal is. 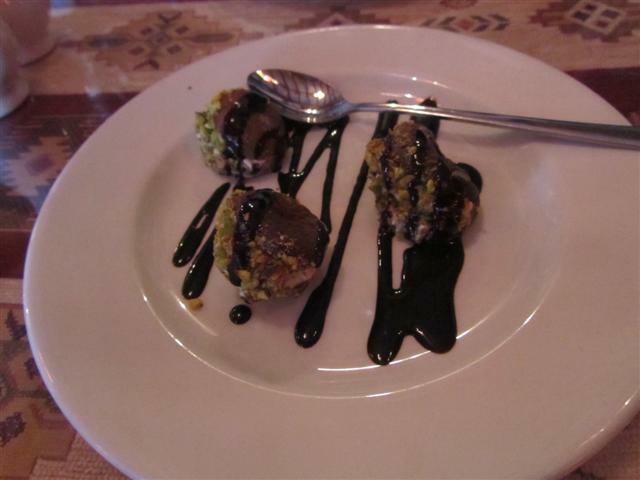 Two great choices were the Stuffed Apricots and the Tiramisu Savoiardi. The apricots were filled with cream and were coated with chopped almonds and pistachios. If that wasn’t enough, they were drizzled with a chocolate sauce. A great combination all in all. The Tiramisu Savoiardi was light, creamy, fresh and had the wonderful coffee flavour going through it. A mint tea was needed to end the meal. 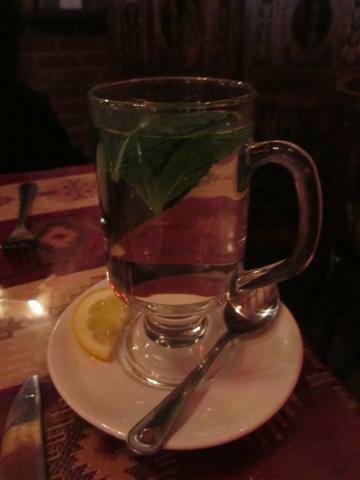 Fresh mint leaves infused the hot water, with a slice of lemon on the side. The Iskele gave us efficient service with a smile. All of the food was of a good portion size and definitely a place to come to if you want to satisfy your appetite. Next Post World’s Biggest Coffee Morning! You’re most welcome Kitty! Hope you enjoy it! 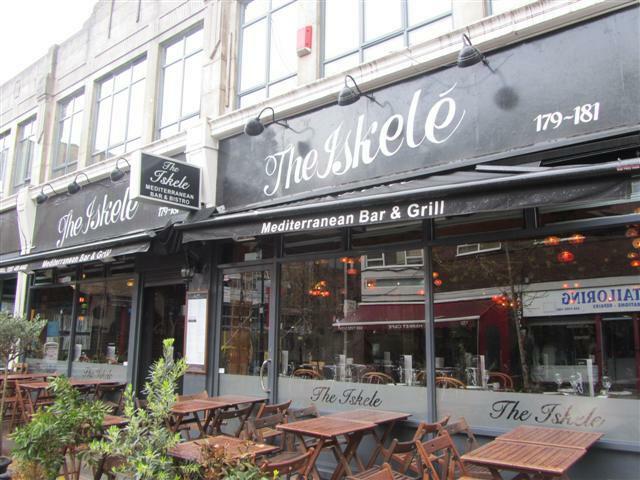 Feel free to let us know how you find The Iskele! 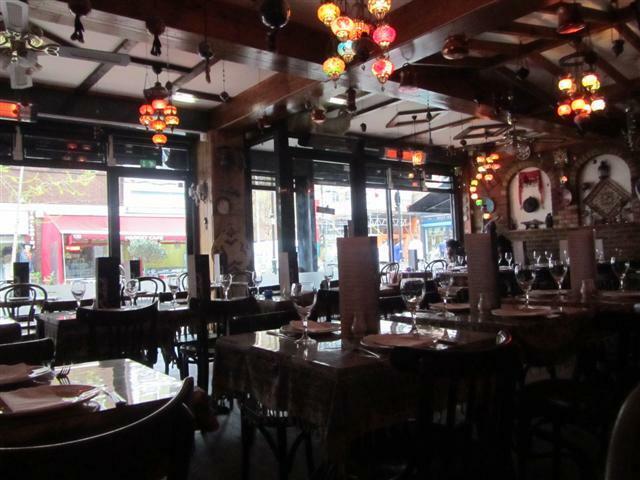 Thank for that Dina, I love Turkish food and am temporarily living at Angel, so will definitely be giving this a try!